Pressure is starting to build in the waste paper sector as the New Year restrictions on the export of mixed papers to China starts to bite, with some experts predicting mixed papers are about to “hit a brick wall”. 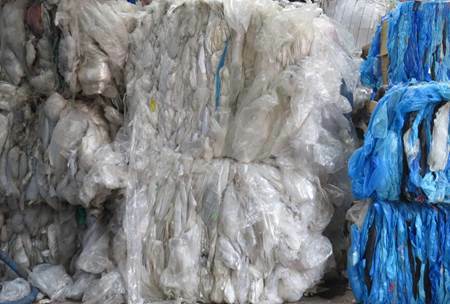 On the plastics front, prices are falling for lower grade material with some in the sector saying that the only route for carrier bags, jazz film and silage wrap in parts of the UK is as an RDF feedstock. For paper, the market for used cardboard (known as Old KLS or OCC) has tightened with orders slower and prices edging downwards. January is traditionally a high arising’s month for used cardboard and mixed papers because of the post-Christmas period, with contamination of mixed papers higher than average. The impact of the current logjam of municipal mixed papers in the market has meant that prices have fallen to £35 or below per tonne this month with the price potentially zero for some material in February. This is likely to have a knock-on effect on margins within the waste management sector and will also mean that rebates to councils could be reduced and even levies imposed. While cardboard, unlike mixed papers, can still be exported to China, exporters are said to be acutely aware of the need not to export material which might fail the 0.5% rejects level which applies from 1 March 2018. Besides the quality control measures imposed by China, orders to China for cardboard are also being affected by the licensing procedure for Chinese paper mills allowing them to import paper. While many licences have been issued, within the licences quota levels – which apply quarterly – are smaller for some buyers. Consequently, orders are reduced and some smaller individual mills are currently not placing orders. A further complication is that the Chinese regulators may not issue further quota allowances for the next quarter of the year until at least half of the first quarter’s tonnage has arrived in China. Mixed paper is a grade under real pressure. Export markets for the material are restricted because destinations – from Indonesia, Vietnam through to India – are well-stocked and ports are busy. Europe is also said to be “struggling” in terms of coping with mixed paper. China Is a hugely important market for UK paper recycler with 3.6 million tonnes exported in 2016. 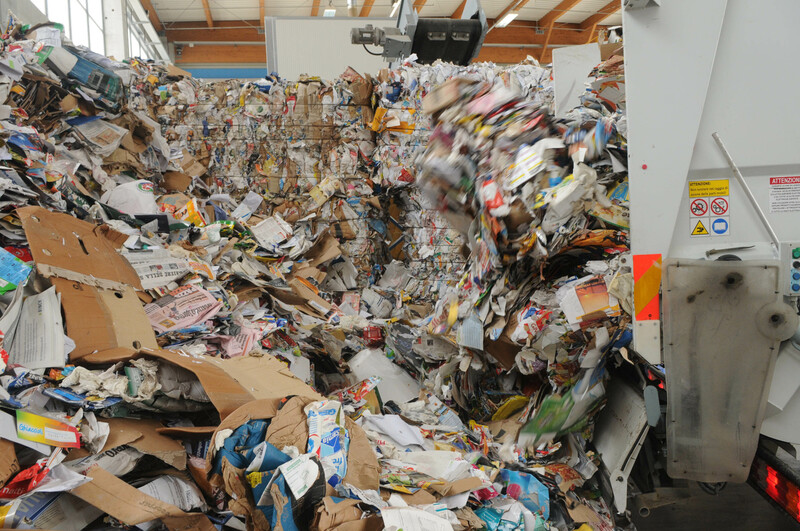 Of this 2.4 million tonnes was used cardboard while near 1.1 million tonnes of mixed papers were exported. One buyer remarked that he hoped that Germany will “come back into the market and other mills in Eastern Europe to help take some of the UK’s stock.” However, European sources told letsrecycle.com that too often “waste companies had ignored Europe and now when it gets difficult, they want to send material here with high contamination levels”. And, another sector expert said: “I believe that UK waste companies need to massively invest in improving sorting plans as well as having discussions with local authorities to get the quality right. This doesn’t mean that commingling will stop but there needs to be more work to get it right.” Some companies are understood to be storing mixed paper but this can cause problems as the material degrades. Instead, extra sorting of mixed papers is taking place. There is an industry consensus that sorting operations with second lines to sort mixed paper from the domestic waste stream are busy across England and have little capacity to handle extra material. The material sorted is seeing contaminants removed and also usually newspapers and magazines taken out as well as mid-grade, office type, material. The magazines and newspapers collected from the mixed paper are expected to find outlets although one problem grade at present is over issue magazines with attachments (such as free gifts) and also loose inserts in polythene bags. There is still a discussion over whether a new grade of mixed papers might emerge. There are reports that recyclers in America are looking at a Number 8 grade – Special News, De-Ink Quality – which consists of sorted newspapers and magazines and other acceptable papers (10%). In the UK this might be a Number 6 grade, if produced, but there remains a number of questions about whether Chinese authorities would agree that the grade material could be imported. The American Number 8 grade allows for 2% of prohibitive materials and anyone making the grade would technically have to do better than this to meet the 0.5% Chinese contaminant limit. In the short term, there are those in the sector who consider that some mixed paper and mixed paper residues may have to be sent for energy recovery or landfill and that waste management companies who own energy from waste plants could put the material into them at relatively low cost. However, there is an understanding that this would conflict with the aim of trying to recycle paper although it would only be very poor material that was disposed of in this way. After a turbulent year for plastics exporters in 2017, prices for material experienced a period of relative stability in price towards the end of the year, partly because of firm oil prices. China has traditionally been the biggest single market for secondary plastics exported from the UK, and restrictions on the quality of imported material resulted in a significant downward pressure on prices throughout the year. Growth in demand from markets including Vietnam and Indonesia had helped create new routes for some of the material that would have previously been destined for China, particularly lower quality 80:20 film grades and offset some of the drop in price caused by Chinese buyers pulling out of the market. But, with only limited capacity in these countries, traders are reporting that moving material overseas has become increasingly challenging, and with a Sky TV documentary aired last night questioning the practises and environmental standards in some ‘alternative’ export destinations, this could create further challenges. Traders are also reporting that film recyclers on the continent are offering lower prices for taking lower grade films. “You can’t give 80:20 film away,” one plastics recycler claimed, adding that RDF is likely to be the most viable outlet for lower grade films ‘within a matter of months’. Demand for clean, segregated bottle grades has remained steady without any hint that prices are likely to rise, although an increase in oil prices – now at close to $65 per barrel – could offer a potential boost to demand for secondary plastics in the long term.